In celebration of the 10th anniversary of their break through record and cult album Music For Men, Gossip are reuniting for a special UK/European tour which brings the band together on stage for the first time since going on hiatus in 2012. 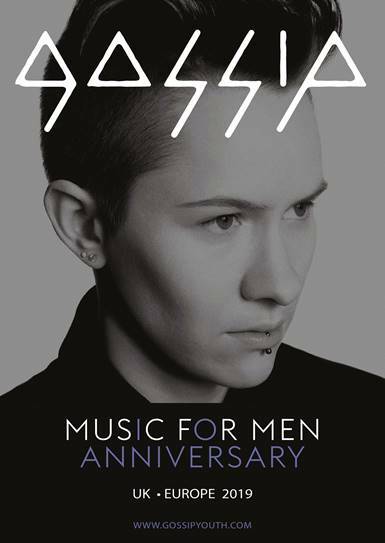 The Music For Men anniversary tour kicks off in France on July 4th, and wraps up in Dublin August 18th. The UK leg of the tour will also see stops in London, Glasgow & Manchester. Tickets go on sale at 9am this Friday. We can’t believe it’s been 10 years since the release of Music For Men! We are beyond excited to reunite with our Gossip family and fans. We’ve truly missed playing these songs and connecting with our amazing and inspiring crowds. It’ll be a sweaty, outrageous time for sure. Can’t wait to see y’all in Europe in July!